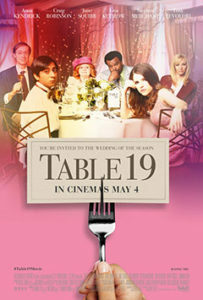 Scenes in this Meg Ryan, Kevin Kline romantic comedy had me laughing out loud. Terrified of flying, Kate musters her courage and flies to Paris after her fiancé falls for a French woman. On the plane, she meets charming petty thief Luc, who sees in her a way he can smuggle a necklace in to the country. He soon becomes involved in her love life. 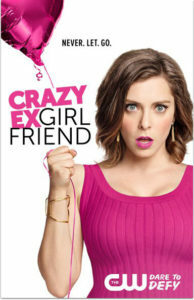 The leads have great comedy timing and chemistry. 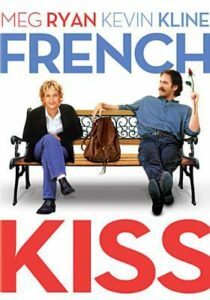 French Kiss is delightful, clever, and fun. Nadine (Hailee Steinfeld) finds growing up in today’s modern world challenging, especially in the shadow of her next-to-perfect older brother Darian (Blake Jenner). This coming of age tale in the vein of The Breakfast Club and Sixteen Candles is candid and honest with humorous moments of what it’s like to be a teenager who just wants to have a real conversation with another human being in person and not through social media and their phone. Her mother (Kyra Sedgwick) is busy with her own problems and oblivious to her daughter’s obvious struggles with school, friends, and social life. To make matters worse, her brother and her best friend find a romantic connection—which sends Nadine over the edge. 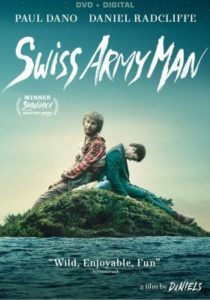 Her one and only confidant, her history teacher (Woody Harrelson), seems to be the only constant in her life who actually pays her any real attention until one day the unexpected friendship of a thoughtful boy gives her a glimmer of hope. 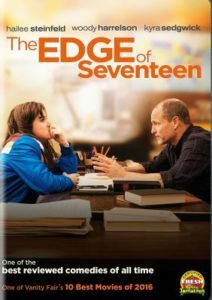 If you enjoyed Juno, watch The Edge of Seventeen. 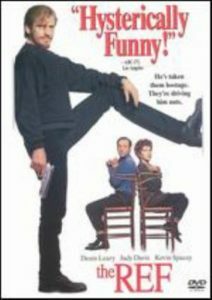 It’s Christmas Eve and Gus (Dennis Leary) is a burglar whose partner abandons him when their latest heist goes south. He is forced to take hostage Lloyd and Caroline Chasseur (Kevin Spacey and Judy Davis) – who are on their way home from marriage counseling – making them drive him to their home. Slowly, the rest of the family begins to arrive for their annual holiday celebration and Gus pretends to be Lloyd and Caroline’s marriage counselor. Little does he know that he will become the “counselor” for the entire dysfunctional family while he figures out a way to elude capture by the police. The Ref is a dark comedy that takes the idea of a holiday movie and turns it on its head. The script is biting and sharp. Leary is best known for his sarcastic delivery and shines in the role of Gus. 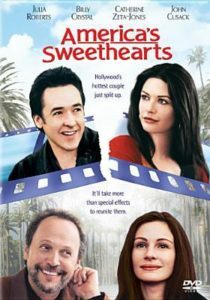 Spacey and Davis also are outstanding as the bickering couple who eventually realize they do love and care about each other. 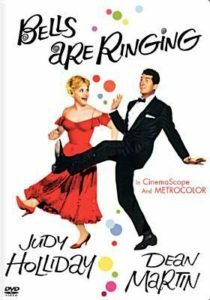 The rest of the cast is top notch and there are a number of well-known actors in cameo or supporting roles: B. D. Wong (Oz; Law & Order) as Dr. Wong, the Chasseur’s original marriage counselor; Christine Baranski (Cybill; The Good Wife) as demanding sister-in-law Connie; and J. K. Simmons (Law & Order; The Closer) as Siskel, the commander of the military school Lloyd and Caroline’s son Jesse is attending (little do they know that Jesse is blackmailing Siskel). Granted, I know this movie isn’t for everyone. But, if you like dark comedies, a sharply written and delivered script, and something a little different to supplement all the maudlin and saccharin holiday fare that comes on this time of year, give this one a chance. It may just win you over. The Lonely Island, perhaps known best for their SNL music videos and digital shorts, hit a home run with this musical mockumentary. Parodying documentary style films of popstars like Justin Bieber, this film focuses on star Connor4real (Andy Samberg), a former boy band member turned international sensation, whose sophomore album has just dramatically flopped. Connor struggles to figure out who he is when he isn’t being adored by millions of fans and is forced to confront the fallout with his former best friend when he quit the boy band of which they were once part. Popstar is full of laughs, inside jokes, and pop culture references, and is positively littered with comedy and musical stars, including Usher, Adam Levine, Sarah Silverman, Joan Cusack, Jimmy Fallon, and Chelsea Peretti, just to name a few.